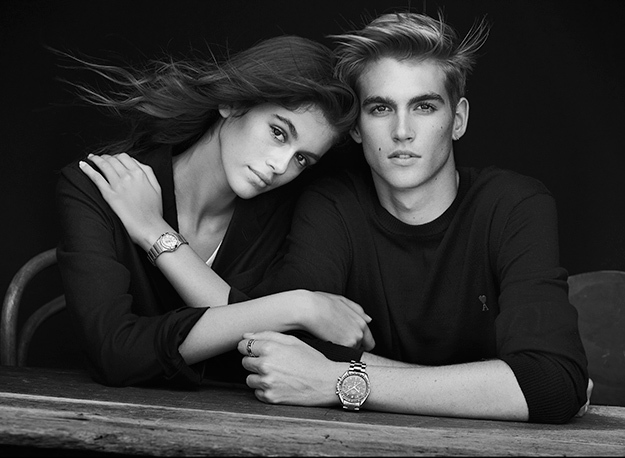 Blessed with the divine genetics of Cindy Crawford and Rande Gerber, Presley Gerber has taken the natural course and entered the modeling world. 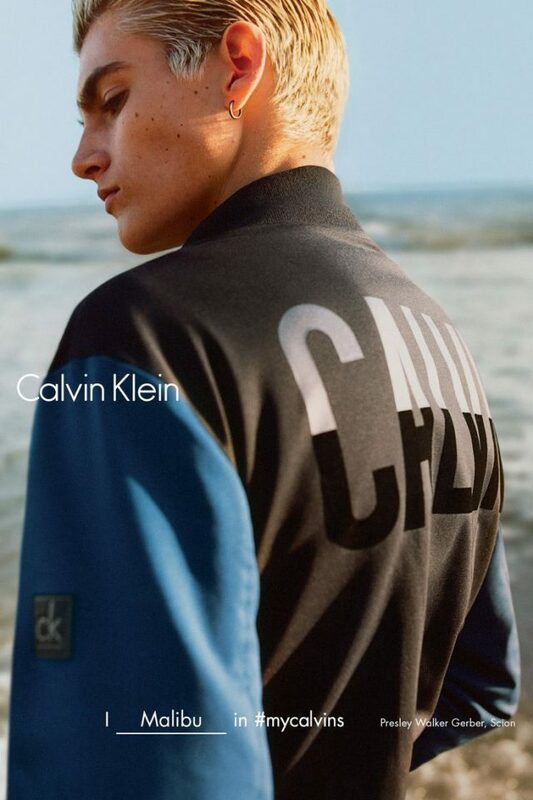 Although he’s only 17, the well-mannered and highly responsible young man has already graced campaigns for Calvin Klein and Dolce & Gabbana, with even bigger projects on the horizon. You'he had a pretty incredible year. I was lucky enough to get to travel a bunch. I went to Italy twice—Capri, Florence, and Milan—and that was amazing. Winning this [Emerging Model] award is absolutely insane! You went to Italy to shoot the Dolce & Gabbana campaign, right? What was that like? We had an absolute blast. The guys I shot with [Cameron Dallas and Gabriel Kane Lewis] and I are all pretty close, so there was no pressure. Everyone who who works at Dolce & Gabbana is so great to us. How do you spend downtime on set? We're usually just messing with one another or looking for food somewhere! What did you eat when you were in Italy? You always have to get pizza! We 'll get to thefashion questions, butfirst, the food. How do you like у our pizza? Plain cheese is my go-to. When did you realize that modeling was something you wanted to take seriously? At first I wasn’t sure, but once I started doing it more often, I started having a lot of fun with it. It was about a year and half ago that I realized this was something I wanted to pursue. Not really. I used to work at a smoothie place in Malibu, and this has been quite an upgrade. Was that a part-time job? I’m not going to say good. I was okay. Funny. Can you still stomach them? Where do you want to take your modeling career? As far as I possbly can. I’m not huge on setting goals. I want to do the best I can, and see where that takes me. One of your first shoots was with Mario Testino for Paris Vogue. What's your relationship like with him? I had met him a few times when I was much younger. Working with him was amazing. My mom was on that shoot with me and they are so close, so I felt very comfortable. You've also worked with Bruce Weber. Yes, with my sister, Kaia, in Miami. He's truly an amazing photographer. The fact that he still shoots only on film is unbelievable. The number of rolls we went through was pretty crazy! What was it like to walk the Moschino show in Los Angeles? It was my first show, and I was so nervous. Jeremy Scott is so enthusiastic about everything. He brightens the mood when you’re around him. Even if you’re having a fitting and he's talking to you, he's engaged. Your sister is also in the early stages of her career. What s that like? We give each other advice, though she gives me more advice than I give her. When we get to work together, we have so much fun. What kind of advice has she offered? Do fans ask youfor selfies? Sometimes at an event, I'll get a few asks, but I try to keep a bw profile. I kind of like it that way. What's уour favorite image of your mom? Oh, man. We have a bunch in our house, and they're all my favorites, because I grew up around them. When I think of my mom, I think of these certain images. She has a very authentic smile in pictures, and that's always able to cheer me up. Has she given you any advice about modeling? Tons! She gives me the most advice out of anyone. So far, so good! Mostly about angles, and she taught me everything I know about how to walk without falling on the runway. Like your mom, you also have a mole on у our face. Is that a frequent topic ofconversation? Not usually, but when I’m with my mom, it comes up more often. Why were you named Presley? When my mom was pregnant with me, my parents were at a party, and they heard someone refer to Elvis as Presley. It clicked! What 's your middle name? Walker. That's a family name. What are your interests, asidefrom modeling? I surf. I’m pretty into exercise, and I like hanging out with my friends on the beach or in town. I like being surrounded by people. How often do you get to surf? When the water is warm, I try to surf every day. I've been in the ocean since I was a little kid, but I didn’t start surfing until I was 11 or 12. Why does surfing appeal to you? I feel like I leave everything on the beach. When you are out there, you have nothing on your mind except exactly what you're doing in that moment. Are you ntill into photography? Are you a protective older brother? What was it like to grow up in Malibu? It was Ike growing up in a small town. I went to school with the same kids since kindergarten. There were 100 kids in a grade. It's a small community. You can’t go anywhere without seeing everyone. Have you ever won a nything before?